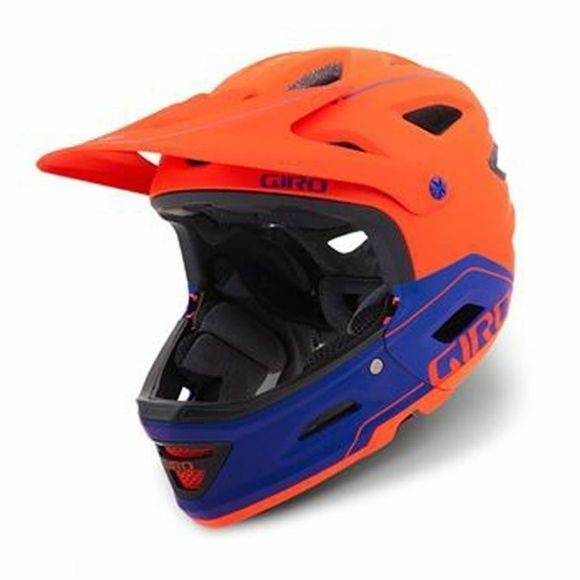 In 1998, Giro created the first mainstream mountain bike helmet with a removable chin bar – it was called Switchblade. In the years that followed we’ve seen many options come and go, all based on the same premise of taking a cross country-style helmet and adding a chin bar. The new Switchblade MIPS bucks that trend completely. Everything about the Switchblade is optimized for the descent. In order to achieve ASTM downhill certification with a rigid, removable chinbar, we leveraged stainless steel hardware and a series of internal anchors moulded directly into the EPS foam. The chinbar is extremely easy to remove — just push the buttons under the chinbar, rotate up, and remove—and it’s just as easy to reinstall.